Bathroom is one of the most important rooms in your house and upgrading it can really add to the overall value of your property. A good quality shower enclosure can be a great feature that you can add to your bathroom. 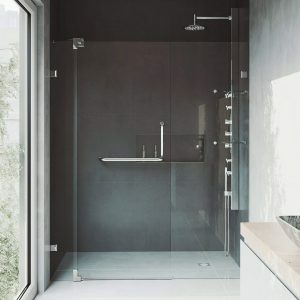 Choosing the best shower enclosure, preferably of good quality will not only be of great utility, but it can also be an attractive feature for potential buyers. Hence, all those, who are looking for a shower enclosure that suits their bathroom design and meets their daily requirements, must keep a look out for the following ones available in market. If you are someone who is looking for a corner design for your shower enclosure, DreamLine SHEN-2134340-04 is a great option. 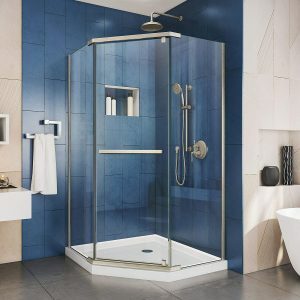 Made from stainless steel pivot bars, and a frameless glass enclosure, that has right and left reversible doors, this shower enclosure can even fit on uneven walls. 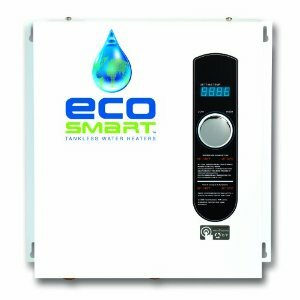 In addition to having a magnetic door latch that allows a water-tight closure for the shower cabinet, this shower enclosure is also water repellent, due to its incredible strain resistant coating. Furthermore, this shower enclosure by DreamLine also features the 3.8 inches thick, certified tempered glass, which comes with an exclusive ClearMax water and stain resistant glass coating. Make sure you purchase the best shower base to accommodate the dimensions. Considering that this shower enclosure is frameless, it gives an open feel to your bathroom. Hence, investment in the modern and sleek DreamLine SHEN-2134340-04 Frameless Pivot Shower Enclosure is definitely worth your time and money. Another great shower enclosure by DreamLine is their French Corner. It is a great fit for those who are looking for a modern industrial yet European vibe for their bathroom. DreamLine French Corner comes in a satin black window pane design, with hardware finish to compliment your bathroom. It has two corner-opening sliding doors that do not take a lot of space in your bathroom. Moreover, the four panel configuration is made of 5/32 in. thick clear ANSI certified tempered glass and this shower enclosure also comes with a magnetic door latch to make it water-tight. So, if you are looking to update the style of your bathroom or feel like you are on a European vacation, opt for DreamLine French Corner. VIGO VG6041CHCL6074 Elan 56 built with clear tempered glass and stainless steel hardware, features a high-end design.It is also plated using VIGO’s signature seven coat finish system. VIGO is definitely one of those leading luxury bathroom brand that not only gives you great designs but exceptional durability. Its shower doors are built to be adaptable to user preference; they can slide right or left and allow for up to 3/8 inch of adjustability. This not only makes this product user friendly, but also easier to install as well as maintain. In addition to this, the high quality material used protests the doors from rusting or scratching. These shower doors with oversized rollers add a modern feel to your bathroom, while also maintaining high standards of quality. CPSC 16 CFR 1201 Category II, and ANSI Z97.1 certifications also guarantee the glass quality as well as its ability to withstand weight and damage. You can choose from either a stainless steel or chrome finish to complement the overall design of your bathroom. In addition to this, VIGO also has a strong limited lifetime warranty on all finishes and structural related components for its products. You also get a one year warranty on all shower seal strips for this product. This frameless shower door comes with Smart Adjust technology that allows reversible swinging of the doors; you can also install the reversible towel bar shower door handle on either side. Plus, the specially designed pivot hinges used in this product also allow the door to open and close smoothly. VIGO VG6042CHCL54 is also made from stainless steel to provide protection against rusting or chipping. Moreover, this shower door also uses strong 3/8 inches tempered glass, which is ANSI Z97.1 certified, to complement the steel hardware, and make your whole bathroom look more chic and aesthetic. The VIGO pivot shower doors also come with built-in flexibility, which allow them to remain level as walls shift. In addition to this, VIGO is also known for the integrated seals in its door hinges which offer unparalleled water sealing and a single water deflector which redirects water towards the inside of your shower. Lastly, just like all other VIGO shower enclosures, this one also comes with a great limited lifetime guarantee. The DreamLine Enigma-X shower door brings both sophistication and luxury to your bathroom. Its stainless steel design not only guarantee good quality and durability, but also complements the modern, urban style of your bathroom. DreamLine also uses its exclusive ClearMax water repellant and stain resistant glass coating on its shower doors to protect them against stains. This makes these shower doors more user-friendly and easier to maintain. One of the best things about this DreamLine model is that it comes with a reversible right or left door opening. If you are looking for shower doors that make your bathroom look more spacious, DreamLine Enigma-X is perhaps one of your best options. 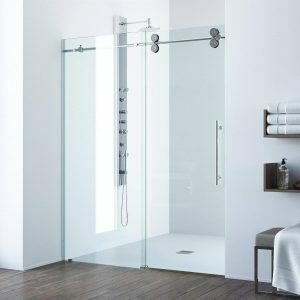 It has a frameless design, made from custom glass and minimal hardware, gives these shower doors a floating appearance. It is recommended that you opt for a professional installation for the DreamLine Enigma-X, as it is not out of plumb adjustable. Having it professionally installed would ensure a smaller gap in case your walls are not perfectly vertical. Therefore, anyone planning a bathroom renovation or upgrade must look into investing in a good shower enclosure or door that meets your style and is convenient for everyday use. It will not only add value to your space, but will make it more aesthetically pleasing. 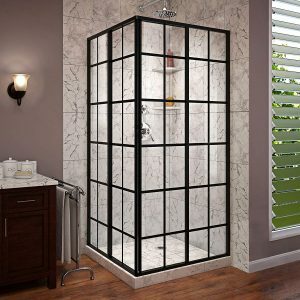 So, before you make the purchase, do not forget to check out the top shower enclosures for 2018, mentioned above.